What Is 3D Printing? 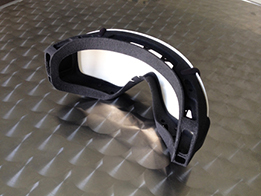 - 3D Prototype Design, Inc.
Home/3D Printing Services/What Is 3D Printing? 3D Printing (also known as rapid prototyping), is an automated, additive process that builds a solid part, layer by layer, directly from a 3D CAD file (computer aided drawing file) without the need to produce molds. 3D printing can be used to create products mostly made from a hard substance such as plastic, metal or even rubber-like materials. 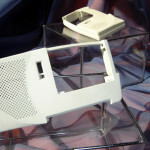 3D Prototype Design’s preferred method is SLS (Selective Laser Sintering) , as it’s the only process that provides durable, functional and testable nylon prototypes http://3dprototype.com/materials/nylon-material/ that will give you a final product as close as possible to an injection molded part without creating a mold. Parts can be tapped, drilled, snap-fit, assembled, painted, sterilized and tested in a way that no other 3D printed pieces can. 3D printing is an amazing process that offers designers the opportunity to build parts quickly and economically. Having said that, there are some key factors to keep in mind if you are new to this technology. 3D CAD File Is Required First: In order to quote or make a part, 3D printing first requires a 3D CAD (computer aided drawing) file of your idea. Researching or ball-parking the cost of 3D printing before a CAD drawing is really putting the cart before the horse, since you can’t actually build a 3D printed part without a CAD file. If you don’t have a CAD file, you should start by consulting with a mechanical engineer or designer to see what the costs associated are with that first. The cost to have 3D CAD drawings often exceeds the price of 3D printing. What You Supply Is What You Get: 3D printing can only build what you supply in the 3D CAD file. For example, if you have many pieces within the file not attached to one another, then your prototype will be built in pieces. If they are attached within the file, it will build as one solid part. If there are mistakes, those will be in your parts too. 3D Printing Finishes: The final finish of a 3D printed part will depend on the process and material used. Most processes require some type of post finishing in order to make parts with smooth surfaces or to add colour. Patterned, textured surfaces or effects are not a part of the 3D printing process. For example, 3D printed parts cannot be built with a textured wood grain or stainless steel looking finish. Personal Use Replacement Parts: If you are looking to replace a part that is currently being manufactured such as a radio button or car part, you’re best off to buy it. 3D printing one replacement part is rarely economical, as you would have to spend money on your 3D CAD file drawing, pay for the cost of your 3D printed part and possibly have to compromise on the final quality (and safety) as compared to the manufacturer’s part. 3D Printing May Not Be Right For You: Although 3d printing is an amazing process, it’s not always the right application for every project or product. Often very large components or items that require specific materials are not 3D printing candidates. Having a basic understanding of 3D printing technology and its capabilities will better help you to determine if it’s an option you can take advantage of. If you are unsure of what you need, what steps to take next or if 3D printing is right for your project, contact us and we’ll be happy to quickly answer your questions and see if 3D printing is right for your project.